Once Boni completes her training, she will serve as a narcotic detection canine, as well as an ambassador for HISD’s K-9 unit. 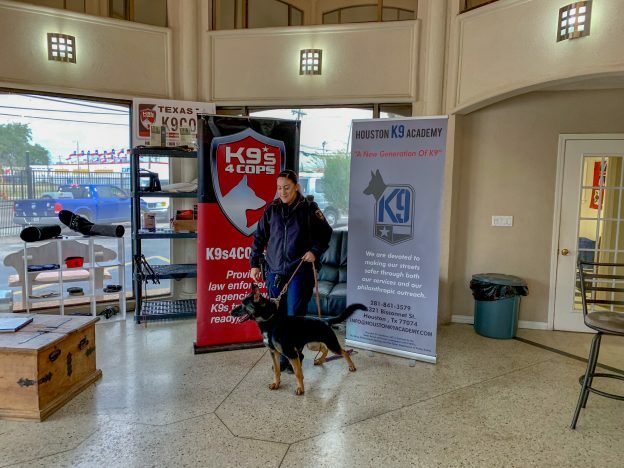 Boni was previously part of K9s4COPs, a nonprofit that provides law enforcement agencies, school districts and college campus police departments with trained K-9 officers. She will join the rest of the department’s K-9 unit, which includes Sasha, a Dutch Shepherd used for narcotic detection and articles searches, Aries, a Belgian Malinois used for explosive detection and articles searches, Bjorn, a Belgian Malinois used for narcotics detection and patrol, and Bowie, a Czech Shepherd used for patrol. While Boni is joining a welcoming HISD Police Department family, Officer Nina Munguia, Boni’s handler, said they’re still getting to know one another. “Right now, she’s shy and timid,” Munguia said.